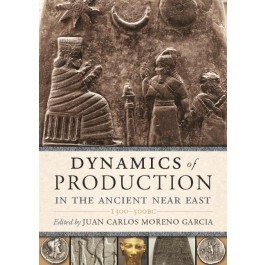 The transition between the 2nd and the 1st millennium BC was an era of deep economic changes in the ancient Near East. An increasing monetization of transactions, a broader use of silver, the management of the resources of temples through “entrepreneurs”, the development of new trade circuits and an expanding private, small-scale economy, transformed the role previously played by institutions such as temples and royal palaces. The 17 essays collected here analyse the economic transformations which affected the old dominant powers of the Late Bronze Age, their adaptation to a new economic environment, the emergence of new economic actors and the impact of these changes on very different social sectors and geographic areas, from small communities in the oases of the Egyptian Western Desert to densely populated urban areas in Mesopotamia. Egypt was not an exception. Traditionally considered as a conservative and highly hierarchical and bureaucratic society, Egypt shared nevertheless many of these characteristics and tried to adapt its economic organization to the challenges of a new era. In the end, the emergence of imperial super-powers (Assyria, Babylonia, Persia and, to a lesser extent, Kushite and Saite Egypt) can be interpreted as the answer of former palatial organizations to the economic and geopolitical conditions of the early Iron Age. A new order where competition for the control of flows of wealth and of strategic trading areas appears crucial.